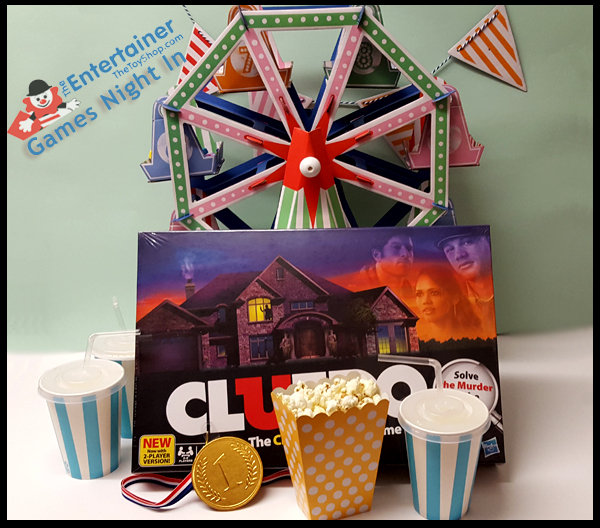 Yes, the technological age is moving at a scary pace, with smartphones, laptops and tablets taking over our lives.. or so it seems, but for me, one of our best cosy nights in recently was thanks to The Entertainer, and their games night in bundle. I'm so pleased that Max is of an age now where he is starting to understand board games and we have recently been playing various forms of monopoly; Avengers Monopoly was our first family board game (that wasn't an Orchard game...) closely followed recently by Empire Monopoly, which I love! 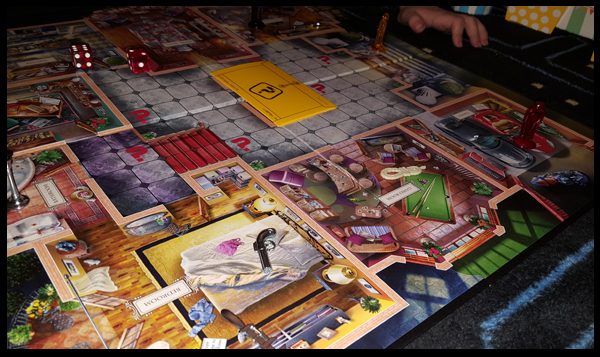 So I was more than happy to see Cluedo in our box, as it's my favourite board game of all! I have to admit, it's changed a fair deal since I was a kid and used to play this with my mum and sister. The characters have advanced, the board is extremely pretty and fancy and the pictures on the cards have also been updated accordingly. I got myself a bit lost on the board to start with, that's how much it's changed since I've played it! But we loved it. Max soon lost interest in the game and was far more interested in his warm milk through a straw and the Ferris Wheel of sweeties - which will never, ever be put away! Once we were all settled in for the evening we put the Ferris wheel together and filled it up with sweeties, this is a great centrepiece and talking point for any party, by the way. We filled each of our cups up with our favourite drinks and got the popcorn maker out and covered our popcorn with melted butter and golden syrup. Once our game was set up the chocolate medals were on full display for the detective of the family to claim ones the game had finished - I'm sure it will come to no surprise, as I was teaching Max the game as well as playing... that I may have won! 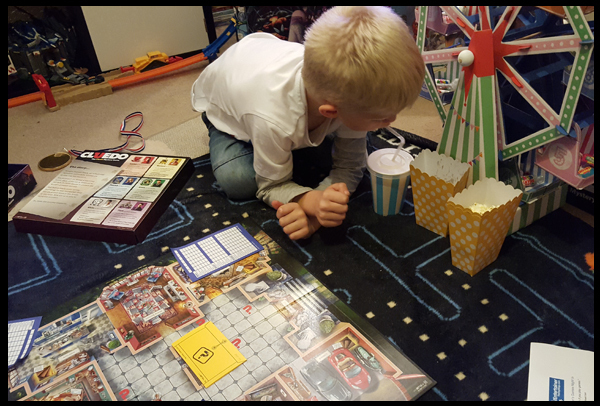 We had our games night in on the blanket on the floor by the fire, that to me is what gave the finishing touches to make our night so cosy. How would you spend a cosy night in?